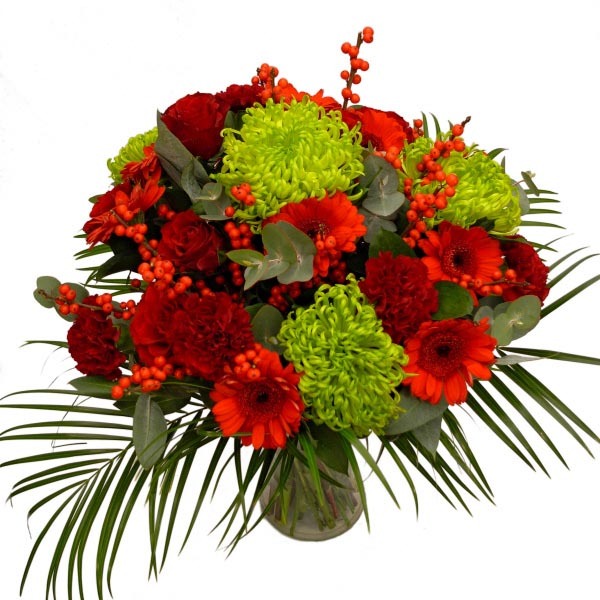 The final bouquet of the month for 2014 is now available; and what a stunning December arrangement it is! The December seasonal arrangement includes red roses, red mini gerbera, green chrysanthemum, burgundy carnations, and red ilex berries on a base of attractive foliage. And as always, it comes with a FREE glass vase! Click here to buy now. Bouquet of the Month Subscriptions (psst - a great Christmas present idea!) Each bouquet of the month costs £30 each individually, but if you want a frequent supply of bouquets each month you can save money and time by purchasing one of our fantastic value flower subscriptions. Available in subscriptions of 3-month (£105), 6-month (£200) or 12-month (£400), we will deliver a specially prepared hand-tied bouquet of beautiful seasonal flowers on the date of your choice each month.